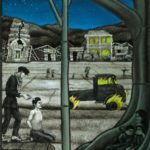 Inspired by the museum’s commitment to celebrating Cambodia’s journey to peace, Australian artists Gerry Cummins and Jill Stehn have created a series of stained-glass windows that they are generously donating to the museum. 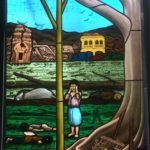 The first two windows in the series represent just this: The first window is an idyllic scene dated December 8,1970, just before the United States and her allies began carpet-bombing Cambodia. The second window shows the sudden destruction of this bombing. 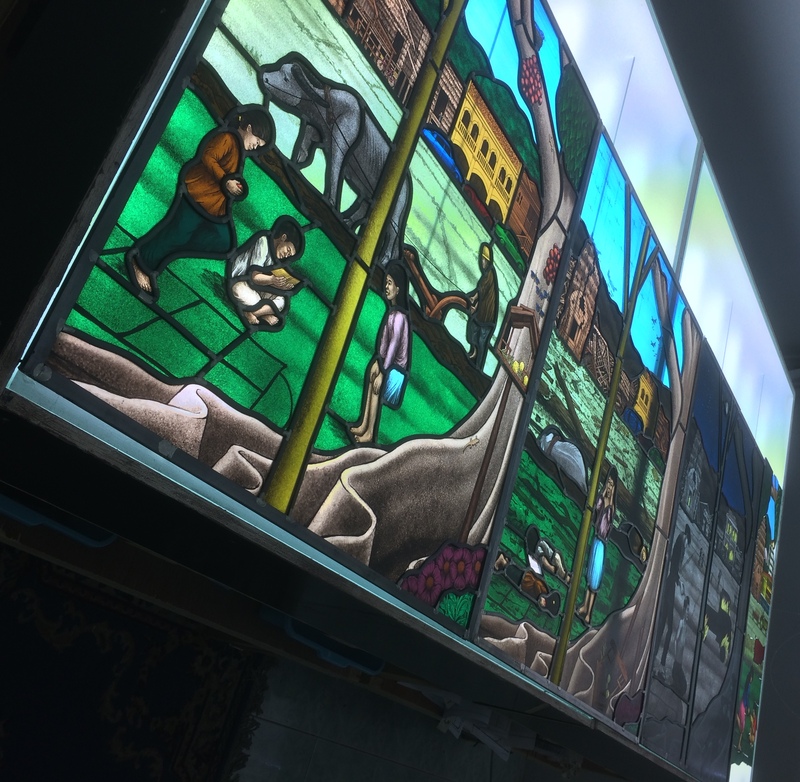 The third and fourth windows were designed after discussions with the Cambodia Peace Museum team about the messages the museum hoped to share. 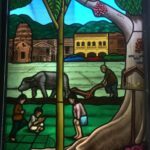 This window is presented last in the series and dated 2040 – a generation living in a peaceful, prosperous Cambodia. 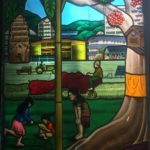 The stain-glass windows, titled “Cambodia’s Journey”, will be installed as a permanent exhibition in the Cambodia Peace Museum. The museum is set to open in October 2018 in Battambang. For the latest news and events of the Cambodia Peace Museum, follow us on Facebook or sign up for our newsletter. Our deepest thanks to Gerry Cummins and Jill Stehn for their generosity in creating this special series for the museum. Thank you to the Thai-Burma Railway Centre in Kanchanaburi, Thailand for the use of studio space to create the windows.